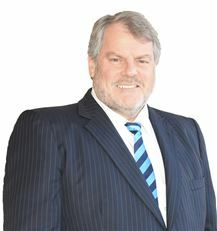 Steve von der Borch commenced his unbroken career in real estate sales in 1984 at the age of 24. Since then he has accumulated a vast array of experience in the sale of a wide variety of residential real estate. For the last 13 years, Steve has been a prominent team member of what many regard as Adelaide most outstanding residential sales team at Brock Partners now known as Brock Harcourts. Over these years Steve has built an outstanding reputation for his caring professional manner. In his dual role as Auctioneer and Sales Consultant he brings unique advantages to his clients via superior knowledge, communication and negotiation skills. He is an Auctioneer with 12 years experience and has been awarded the City Zone Winner in the Golden Gavel Auctioneering Championships. With Steve’s superior experience and proven negotiation skills, he continues to achieve outstanding results for his clients and always endeavours to exceed their expectations. Steve has a long track record of leadership and high achievement in sporting, social and business spheres. His ability to build loyal teams is now finding a new purpose in his role as principal of Brock Harcourts Semaphore. When you appoint Steve to represent you, you can be confident of his commitment to your cause. Enthusiasm for life and a genuine interest in people, Ariana makes the selling experience of real estate especially in the beachside and western suburbs area a memorable one, creating and maintaining many friendships along the way. Involved in the selling of Real Estate since 1988, Ariana is described by her past clients as very approachable, friendly and trustworthy, an agent who cares: showing great commitment, experience and integrity; someone who has excellent market knowledge of the Western/Beachside area and who works tirelessly enhancing the sale of their property. Ariana prides herself on realistic pricing, great auction results, impressive negotiation skills and the regular follow up of purchasers and owners alike to secure successful sales. To ensure buyer interest Ariana believes in high quality advertising and marketing, placing importance on the presentation of the home and the quality of photos used for the internet, sign boards and colour brochures to portray the home’s most valuable aspects. She is supported by a high profile Semaphore Brock Harcourts office, with auctioneers of the highest calibre, up to date technology, weekly marketing and negotiation training. Along with impressive advertising in the front of the Advertiser, Messenger and internet systems gives Ariana the empowerment to do the best for the needs of her real estate clients especially in her own area of Semaphore Park whilst extending her knowledge around the beachside and western suburb areas. Stephanie has lived in the West Lakes area for the past twenty years and has seen the Western suburbs develop to provide excellent facilities and services for those residing there. Having worked in the past within the property, design and construction industries Stephanie has naturally gravitated to the fulfilling career as sales consultant within Real Estate industry. Her roles encompassed management, sales and human resources. Stephanie brings a wealth of personal and hands on experience developing long term business and personal relationships based on integrity and honesty. Stephanie, having a creative marketing mind and superior negotiation skills, is able to achieve great results for her clients and provides open, concise communication throughout the whole sales process. With her calm and mature manner, she installs confidence in her dealings and trust with her clients as she is able to communicate on many levels and she is always willing to go the extra mile to get the task completed in a timely manner. Stephanie believes that every client and property is unique and will genuinely make the selling experience a memorable one. Instantly likeable, possessing great listening skills, consistently displaying strong empathy for her clients, extremely hard working, compassionate towards people in need, community minded, hard working, determined to be successful in her chosen field. Bec Bennett is one of those people who ‘fits in’ everywhere she goes. Her communication skills and ability to form a connection with strangers has existed since childhood and is perhaps the result of a life of many moves. 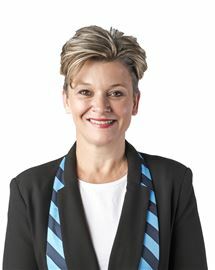 Originally from the Mornington Peninsula, Bec has lived as far North as Weipa (Qld) but in many regional communities and cities where her happy go lucky personality and community involvement has always paved the way for much disappointment when leaving new found friends but always the pleasure enduring friendships across Queensland and South Eastern Australia. Having already worked in real estate in Victoria, Bec has settled in Adelaide with Husband - a renowned Golf Course Superintendent, for an extended term and possibly forever, as they have agreed; there is no better place to have your children educated and enjoy a lifestyle rated amongst the best in the world. Bec is an agent who works tirelessly in the interests of her clients. Her highly developed communication skills are deployed at every opportunity in the course of following up buyers, reporting sales progress to her clients and negotiating sales. If you are seeking an agent who delivers great service, who understands the needs of her clients and challenges of contending with the market, who will wow your buyers with her engaging approach and who is determined to deliver a great result; it’s time to dial 0400 770 802. Then see for yourself how your next agent Bec Bennett brings together personality, skill and the support of a great real estate brand in Harcourts AQUA for your benefit. Having arrived from the Philippines in 2010 Michelle is an extremely valuable member of our support team. Having worked overseas as a business development officer in a telecommunications company, practiced in commercial leasing for six years as well as being qualified with a computer science bachelor degree, Michelle could claim to be overqualified for her position. None the less her outstanding contribution in the area of sales support and the spirit, dedication to the task as well as the efficiency and work ethic she shows every day never fails to impress. Always looking for more work and exceptionally accurate in every task she undertakes Michelle is an extremely valuable member of our team who contributes with more than just her work - she is someone who enhances our workplace culture. Only a few steps to the beach! Honey - Call the Builder! Light, bright & just right! 4 Bedrooms for the price of 2!